Luxury watches have always held a special place rap/hip-hop artists, and while the technology behind mechanical watches is arguably more outdated than ever before, traditionally crafted, high-end mechanical watches have never had a greater or more cherished presence in contemporary popular culture. Throughout the world, watches are often viewed as displays of wealth and personal accomplishment, and this is frequently reflected in the seemingly illogical pricing of luxury timepieces, where stainless steel sport watches can sell for more than gold dress watches, and it is not at all uncommon for a non-descript, pre-owned watch to sell for far more than the price of a brand-new, European luxury automobile. In the past, the majority of the rap/hip-hop industry’s interest in watches was centered on custom designs and the addition of diamonds – and to a certain degree, this still holds true. However now more than ever, the luxury watch industry’s most traditional manufactures of finely-crafted, highly-complicated timepieces are finding an enthusiastic audience with many of the rap/hip-hop industry’s most wealthy and prominent members. A quick analysis of today’s popular rap/hip-hop song lyrics, and a brief look through some internet photos will reveal that there are three luxury timepiece manufactures that have the greatest (or at least the most enthusiastic) following among members of the rap/hip-hop industry. To no surprise, Rolex is at the top of the list, along with two of Switzerland’s oldest and most traditional timepiece manufactures: Patek Philippe and Audemars Piguet. Hublot, Breitling, and Richard Mille earn honorable mentions; however their brand names do not appear nearly as frequently in today’s popular rap/hip-hop songs. As the world’s most well known, luxury timepiece manufacturer, Rolex is probably referenced in more songs throughout history than all other watch brands combined. Rolex timepieces have become an internationally recognized symbol of success and personal achievement, and they are often the go-to luxury watches for many high-profile celebrities. 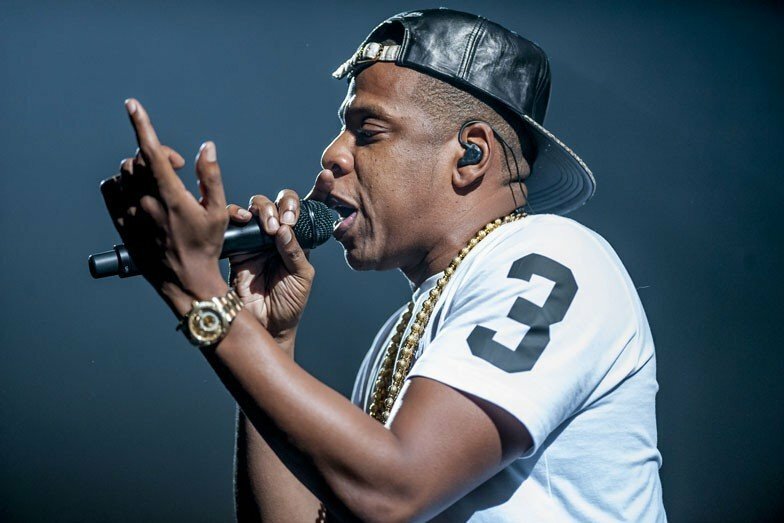 Entire rap and hip-hop songs have been written about Rolex watches, and it seems that almost every single prominent rap/hip-hop star owns at least one Rolex timepiece. Among the different collections in the Rolex catalogue, the watches that seem to be favored the most by today’s rap/hip-hop stars are the Day-Date President, the Sky-Dweller, the Datejust, and the Yacht-Master II. By a large margin, the Rolex President (most frequently in yellow gold and set with diamonds) is easily the most commonly spotted watch within the rap/hip-hop industry, and most prominent artists have at one point or another worn or owned one of these renowned and iconic timepieces. As one of Switzerland’s oldest and most traditional timepiece manufacturers, Patek Philippe has a long history of producing elegant and classically designed wristwatches with flawless levels of finishing and attention to detail. 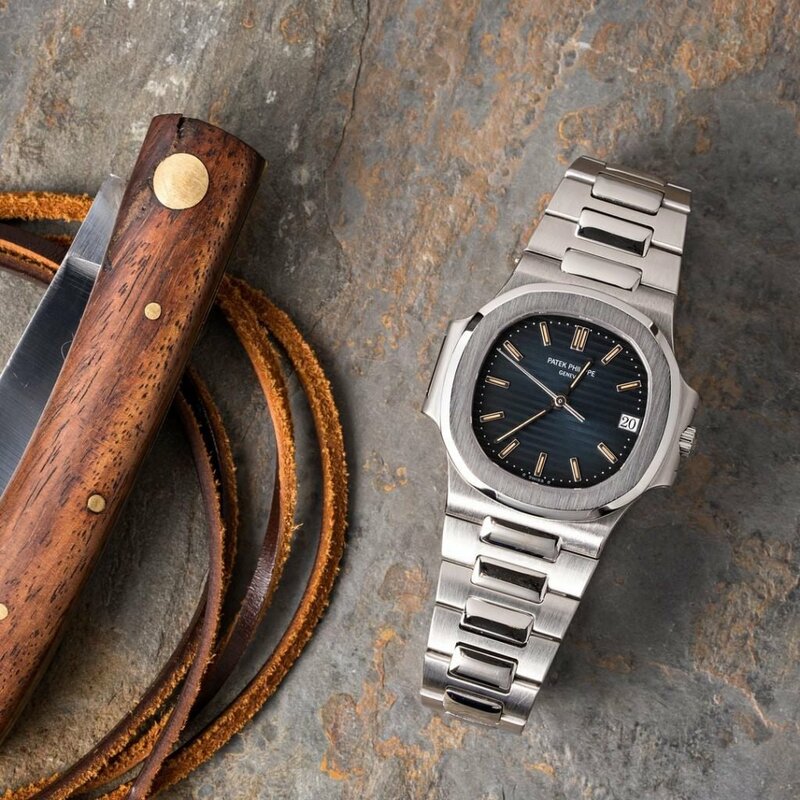 While most of Patek Philippe watch designs are simple and understated, their Nautilus collection, with its distinct integrated bracelet and bold, 1970s, Gérald Genta design, has found an extraordinarily strong following with many of today’s most famous rap/hip-hop artists. On the album, Without Warning, by 21 Savage, Offset, and Metro Boomin, the word, “Patek” is used no fewer than 15 times over the course of its 10 tracks, which amounts to 33 minutes and 22 seconds of music. Additionally, the song “Ric Flair Drip” on that album contains 4 mentions of the diamond-encrusted, reference 5719 Patek Philippe Nautilus, in addition to several other references to Patek Philippe and Audemars Piguet. Even when diamonds aren’t involved, there seems to be a genuine appreciation for the Nautilus, as Offset raps on the song, “Darth Vader” that he “bought the plain Philippe” – a clear reference to purchasing a Patek Philippe without any diamonds or complications. Arguably more prominent than the Patek Philippe Nautilus in rap/hip-hop culture is the Audemars Piguet Royal Oak. Originally introduced in 1972, the Royal Oak is another Gérald Genta watch design that uses a distinct integrated bracelet and an octagon-shaped bezel to create a truly unique and now iconic appearance. 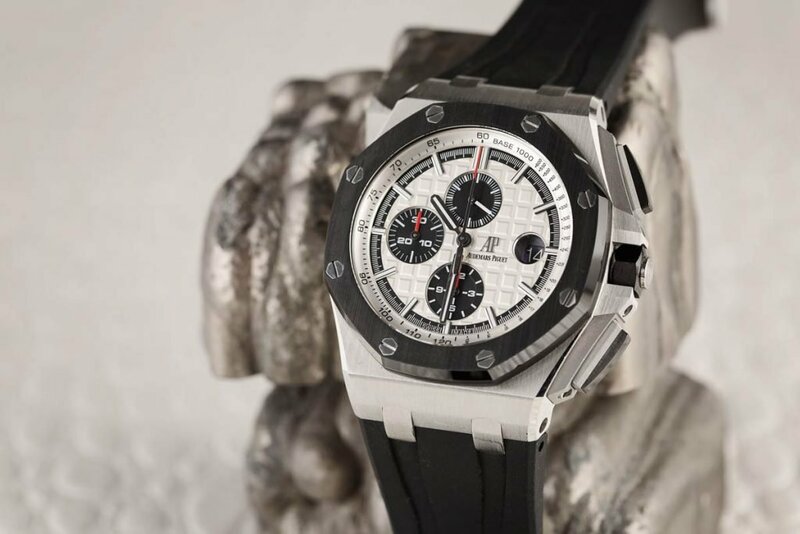 Most commonly referred to as simply “AP,” Audemars Piguet and their iconic Royal Oak line of watches have significantly increased in popularity in recent years, and now can frequently be seen on the wrists of many high-profile artist and celebrities. The Post Malone and Ty Dolla $ign song “Psycho” off the album Beerbongs & Bentleys has the opening line, “Damn, my AP goin’ psycho,” which reoccurs several times throughout the rest of the song. Additionally, references to this AP – presumably a watch manufactured by Audemars Piguet – going psycho are made a total of 7 separate times throughout the track, as it appears in both the hook and the individual verses. On the 2011 album, Watch the Throne, Kanye West and Jay-Z rap, “Ball so hard, got a broke clock, Rollies that don’t tick tock / Audemars that’s losing time, hidden behind all these big rocks.” It is possible that Post Malone simply means that his Audemars Piguet Royal Oak is very flashy and noticeable; however “goin’ psycho” can also refer to mechanical issues, like the ones that Jay-Z raps about in his song with Kanye West. In addition to making some of the finest and most expensive timepieces in the world, the luxury-watch brands that are favored by today’s rap/hip-hop artist are also serious manufacturers of in-house, well-finished, mechanical movements. In the French Montana and Pharrell song “Bring Dem Things” off the album Jungle Rules, Pharrell raps “Y’all be AP-in’ / I’m Richard Mille nation / no diamonds, just tourbillion facing / with gears and sprockets with the sapphire casing.” While many of the watches owned by today’s top rap/hip-hop artists are set with diamonds, there also seems to be a strong appreciation for the underlying technology and craftsmanship that drives the purchases, which is why these brands have surfaced as the industry’s top favorites.